<h3>Archival Records</h3> Centre for Mennonite Brethren Studies (Winnipeg, MB): [http://www.mbconf.ca/home/products_and_services/resources/published_genealogies/mb_provincial_conferences_and_church_congregation_records/british_columbia_archives/north_fraser_community_church_archives/ Volume 369]. Klager, Andrew and Richard D. Thiessen. "North Fraser Community Church (Lake Errock, British Columbia, Canada)." Global Anabaptist Mennonite Encyclopedia Online. November 2010. Web. 24 Apr 2019. http://gameo.org/index.php?title=North_Fraser_Community_Church_(Lake_Errock,_British_Columbia,_Canada)&oldid=138895. Klager, Andrew and Richard D. Thiessen. (November 2010). 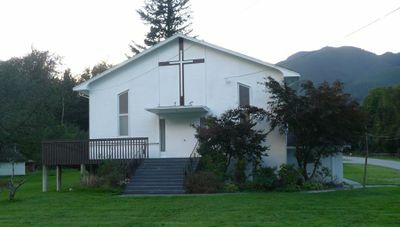 North Fraser Community Church (Lake Errock, British Columbia, Canada). Global Anabaptist Mennonite Encyclopedia Online. Retrieved 24 April 2019, from http://gameo.org/index.php?title=North_Fraser_Community_Church_(Lake_Errock,_British_Columbia,_Canada)&oldid=138895.